In the oil and gas industry, managing marine-based projects in an offshore environment is increasingly complex. In this Offshore & Marine Projects and Risks Management course, you’ll work through the proactive approach to both sides of risk: threats and opportunities. 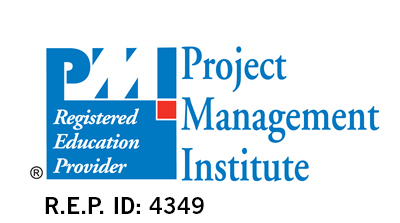 The interactive approach is based on PMI® RMP methodology and designed to provide both qualitative and quantitative approaches to risk management allowing delegates to enhance risk management awareness to ensure they can manage projects better - minimising project cost/schedule overruns and thus improving project execution. Learn how to examine both the threats and opportunities facing projects from both a top-down and bottom-up perspective using industry best-practice risk management methodology. Understand best how to evaluate and respond to risk at project as well as task levels. Achieve the skills to anticipate possible causes of cost and schedule overruns, together with poor quality of work at the earliest possible opportunity in order to take timely corrective action to minimise or mitigate the impact. Understand the importance of compliance; both for internal corporate policy and government regulations or legislative bodies, thus avoiding costly schedule or budget headaches. Learn how to create an effective risk monitoring plan and consider appropriate risk management strategies to maintain the plan. Participants will receive a thorough training on the subjects covered with the tutor utilising a variety of proven adult learning teaching and facilitation techniques. Training methodology is designed around a PMI® RMP syllabus and includes an insight into appropriate methods as well as industry tools and processes used as practice examples. The training course includes teamwork around an applicable offshore case study, with group discussion and critical analysis of project stakeholders and project context culminating in team project presentations allowing demonstration of practical execution of the tools covered. Competency Description: In this current economic climate, we must ensure we are appropriately prepared for all risks. We will begin by understanding the foundations of risk management and underpinning this to help ensure that we can deliver our offshore or marine projects successfully. Competency Description: Identification of our offshore or marine project risks is crucial to the ability to proactively manage our projects. Commencing with behavioural capabilities we support project risk identification best-practice methods against project cost & schedule activities for the offshore case-study. Competency Description: No matter how well project risks are identified, we must quantify them to allow us to prioritise and manage appropriately. We will cover both qualification & quantification methods appropriate to offshore or marine projects. Competency Description: In the offshore industry, managing identified risks appropriately is key. We will introduce risk response exercises and focus on how those responses can be analysed to challenge their validity. We will also consider the abilities of individuals or parties taking responsibility for agreed risk responses. Competency Description: We need to understand the process of developing options and determining actions to enhance opportunities and reduce threats to the offshore project`s objectives.